Dr. Joe Liske is an astronomer at the European Southern Observatory (ESO) in Garching, Germany, working in the E-ELT Science Office. Previously, he was an ESO Fellow and before that a postdoc at the Universities of Edinburgh and St. Andrews, and obtained his Ph.D. from the University of New South Wales. He spends half his time working on the European Extremely Large Telescope (E-ELT). 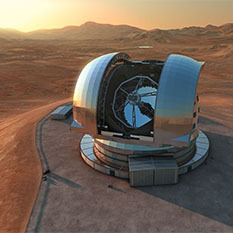 This (future) giant telescope will be Europe's premier ground-based optical and infrared facility in the coming decades. His work is concerned with all issues related to E-ELT science. He spends the other half of his time doing research. His scientific interests are in extragalactic astronomy and observational cosmology. Mostly, he studies galaxy formation and evolution using large surveys such as the Galaxy And Mass Assembly (GAMA) survey, and the intergalactic medium using QSO absorption lines. Liske also hosts the Hubblecast and the ESOcast, two popular video podcasts featuring the latest science, news and images from the Hubble Space Telescope and the European Southern Observatory. 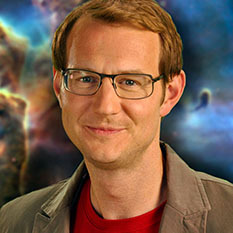 He was also involved with the movie Eyes on the Skies, a documentary celebrating the 400th anniversary of the telescope in the International Year of Astronomy 2009, The Eye 3D, an award-winning 3D documentary about ESO's Paranal Observatory that was released in October 2009, and the Austrian TV series Hubble – Mission Universum.